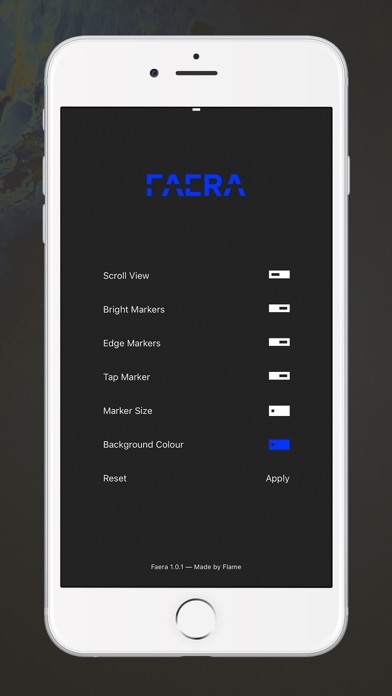 Faera is a simple and beautiful app for screen replacement vfx work. Providing elegant tools for typical device use cases for both iPhone and iPad on most scenes, with minimal design. 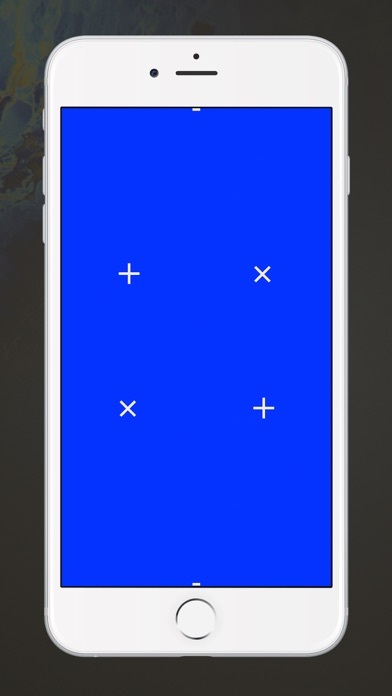 - choice of screen backgrounds: :: blue and green for typical chroma keying :: light grey for typical device luminance :: neutral grey to assist white balance :: black for 'off' appearance, lowest device brightness - scrolling view for typical app list style use - edge markers to indicate true top, bottom and mid point of scrolling view - markers to show the corners for reflection preserved tracking - toggle for bright and dark markers depending on need - large, small, or no marker visibility - marker to indicate user tap location - minimal design to reduce necessary paint work - saved preferences.